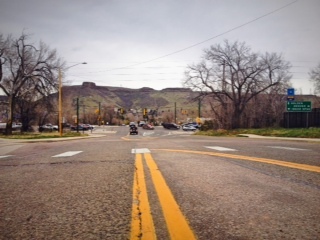 GOLDEN, Colo. – The City of Golden has been awarded $20 million for their new road project. Golden is moving closer to getting the needed transportation improvements to support traffic flow and pedestrian safety, without implementing the problems that can come with a major freeway. Golden was granted the $20 million from the Colorado Department of Transportation (CDOT) to build a grade separated interchange with exit ramps at US 6 and 19th Street. The intersection currently has the highest accident rate in the whole city. “I’ve seen plenty of accidents right here,” said Jim Oleskevich, who has lived in Golden for almost 15 years now. “It’s about time something like this goes in around here.” With the help of the interchange, the obstacle the highway presents to pedestrians and bikers will be eliminated. Plans for two roundabouts at either end of the overpass and no more traffic lights would allow for a maintained traffic flow on both US 6 and 19th. 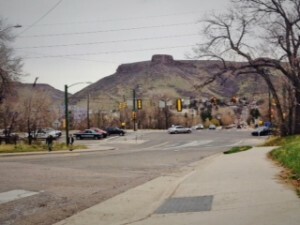 The City of Golden was required to pay a 20 percent match of $5 million, $1 million of which will come from the Colorado School of Mines. CDOT received more than 160 applicants requesting funds for transportation projects. In an effort to better coordinate accessible funding and project expenses CDOT is using the RAMP program to budget for plans. RAMP, which stands for Responsible Acceleration of Maintenance and Partnerships, allotted $300 million to transportation projects in Colorado. Golden was one of the lucky few to will get their wishes granted. Construction is expected to begin later this year and will take 12 to 18 months to complete. There has been talk of further construction along the corridor for years. The Jefferson Parkway is one of the major building prospects. The proposed road would start about 5 miles north of Golden and run between Highway 93 and 128. The Jefferson Parkway Public Highway Authority has been trying to find a private investor to fund the new road. Many residents of Golden oppose the new highway building plans in worries it could bring more congesting traffic into the area. For more information on Golden’s proposed plan and the Jefferson Parkway visit www.getthefactsgolden.org. Join the Golden Vision Community Forum to receive email updates and share your ideas about the community. Excellent article, Sarah! I like how you helped readers understand where the funding was coming from for this project, and why it is needed.